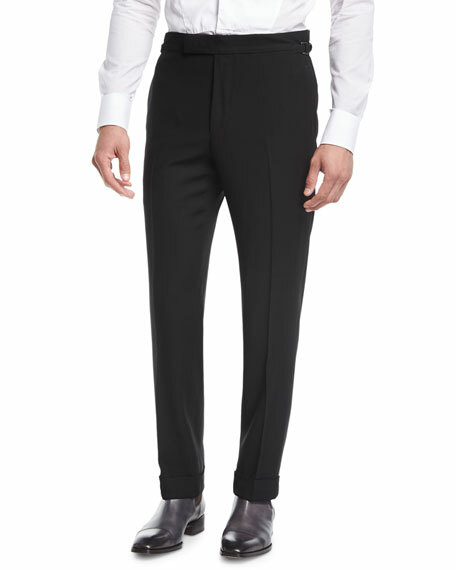 TOM FORD "O'Connor" base twill trousers. 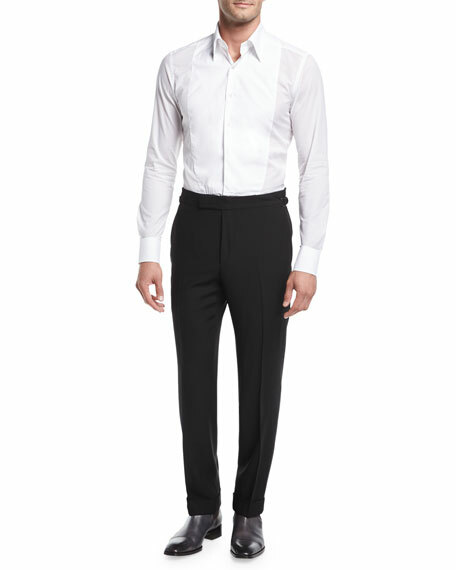 Side pockets follow seam of pants for clean lines. 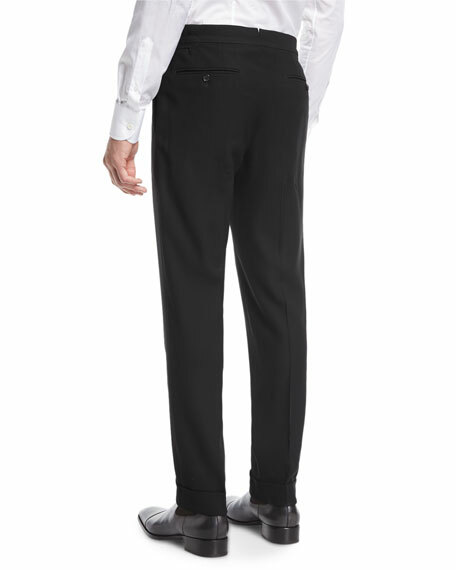 Smooth side adjusters for perfect fit; back vent allows for greater movement. Concealed waistband button; zip fly. Internal pleated skirt lining to keep shirt in place. Please contact your local Neiman Marcus store for proper finishing of your garment. For in-store inquiries, use sku #2223679.